With the goal of protecting public health, safety, as well as the welfare of Connecticut citizens, the Department of Consumer Protection was formed to ensure that only qualified and competent persons are licensed in the occupational trades and other professional licensing categories, including Engineering. 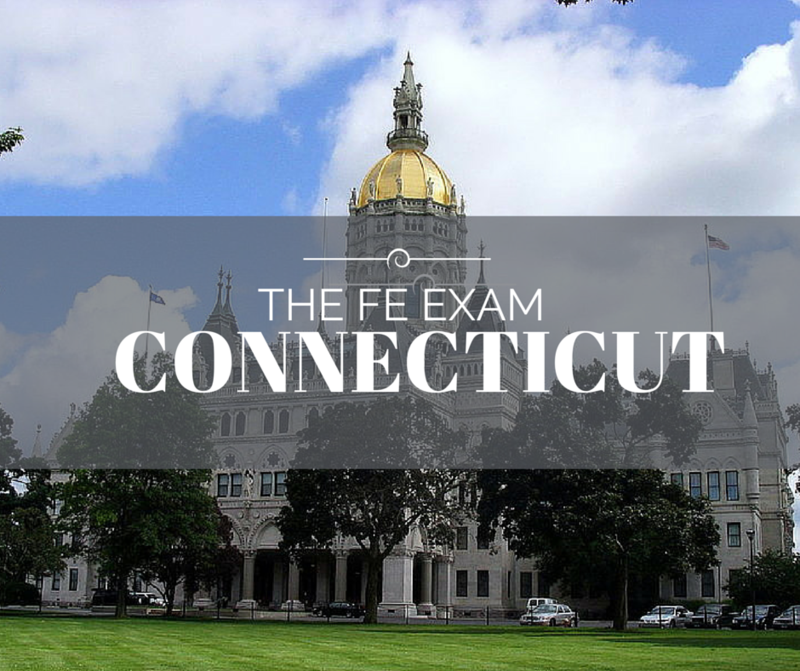 The Department of Consumer Protection will have all the details for the FE Exam Dates, FE Exam Costs, FE Exam Study Materials and locations for local FE Exam Reviews. When can I take the Engineer in Training exam? If you are enrolled in an EAC/ABET accredited engineer program, you can take the exam in your last semester before graduating. What educational programs are accepted for taking the Engineer in Training exam? Any EAC/ABET or TAC/ABET accredited engineering program. Are there any programs equivalent to EAC/ABET accepted for taking the Engineer in Training exam? Yes, programs either accredited by the Canadian Engineering Accreditation Board or one that ABET accredits as substantially equivalent. Are there any programs equivalent to TAC/ABET accepted for taking the Engineer in Training exam? Yes, programs either accredited by the Canadian Engineering Accreditation Board or one accredited by accrediting bodies from countries signatory to the Washington Accord and listed in ABET publications. Have further questions? Check the Frequently Asked Questions or visit www.ct.gov/dcp to get the most up to date information.